He was a complete outsider to the fascinating world of glitz and glamour but today he is a source inspiration to several individuals. He is a quintessential example describing that, if you work hard with full dedication and stay focused then you can achieve anything in life. He is the dimpled hunk of Indian pageantry and one of the best looking men in the nation. He is Mohit Singh, the winner of Rubaru Mister India 2016 pageant who brought laurels and glory to the nation by becoming the first Indian to win the prestigious international male beauty pageant, Mister United Continents 2016 held in the Philippines on 22 July 2016. Born in the city of Rohtak in Haryana. This dashing gentleman graduated with a degree in electronics and communication engineering from the YMCA University of Science and Technology, Faridabad. Just a regular guy with a charming face and eyes that had a unique spark, Mohit was far far away from the world of modelling or pageantry. While working as an engineer at the Havells India Limited in Noida he thought about entering the Rubaru Mister India 2016 pageant, organised by Rubaru Group lead by Mr Sandeep Kumar. But little did he know that soon his life was going to change completely. He had no stage experience or any runway skills but there was something that pushed him forward, and that was his will power and his ability to achieve something that he thought would be unapproachable. 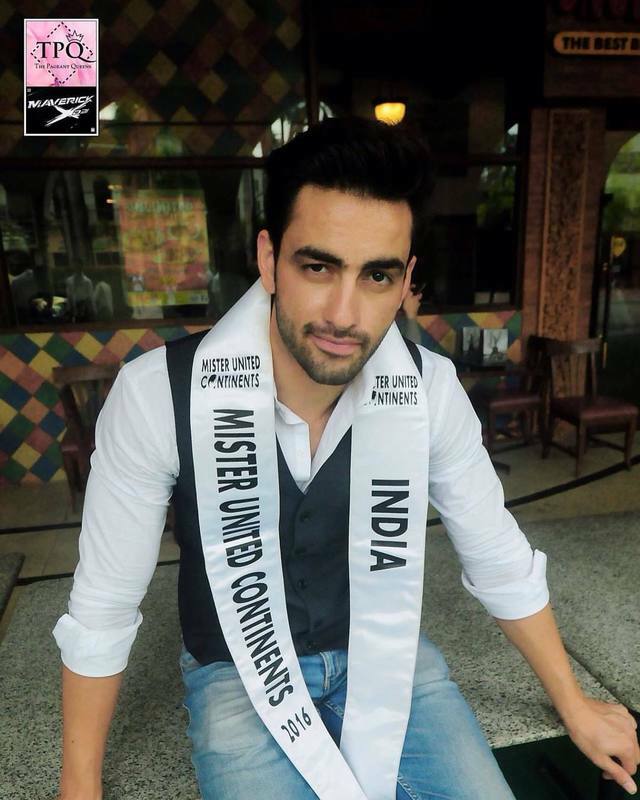 It was 24 April 2016, he was declared Mister United Continents India 2016 at a glitzy evening held at Anya Hotel in Gurugram. He had only 2 months to prepare before leaving for the international finale in Philippines. He was leaving no stone unturned from learning the runway skills to improving his communication skills to achieving the perfect body. 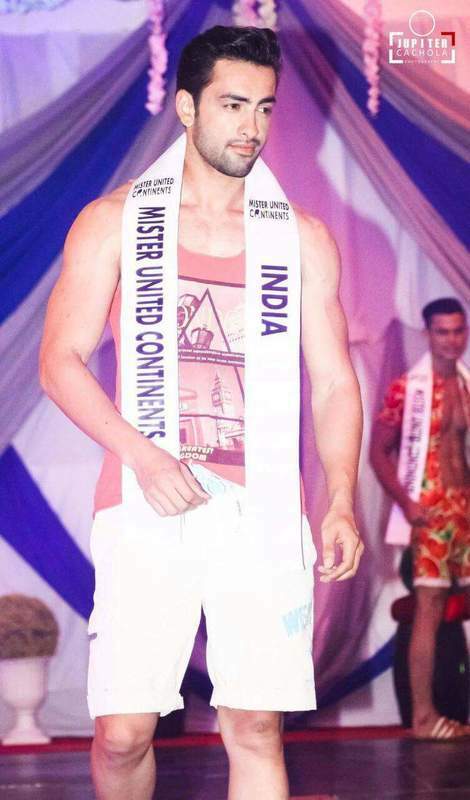 He tried as hard as he could to change into somebody who could represent India in the best way at the Mister United Continents 2016. 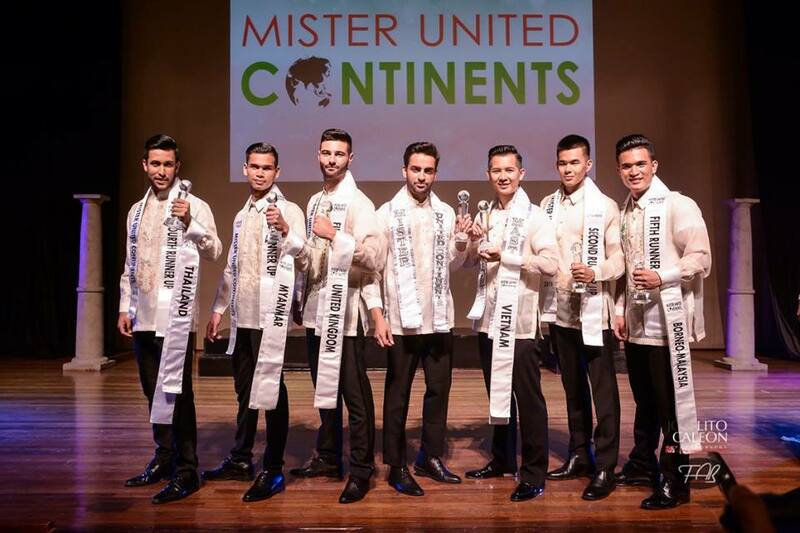 Finally on 22 July 2016 in Philippines, all his hard work and support of his near and dear ones fetched him the glorious title of Mister United Continents 2016. He created history by becoming the first Indian to win this prestigious title. He also won the Mister Online Popularity award at the pageant. Indeed his journey was a magical one that perfectly describes that nothing is impossible if you dare to dream and work hard to achieve that dream.